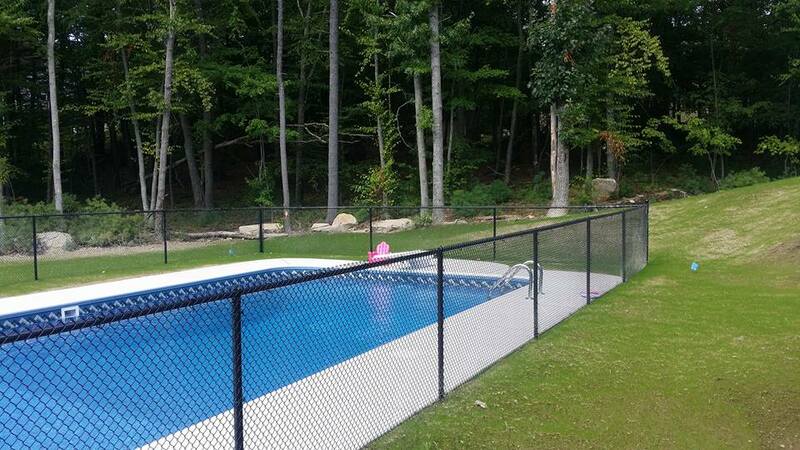 Known for its strength and durability, chain-link is perhaps the most economical type of fencing available to enclose a very large or small area for your pets and kids. 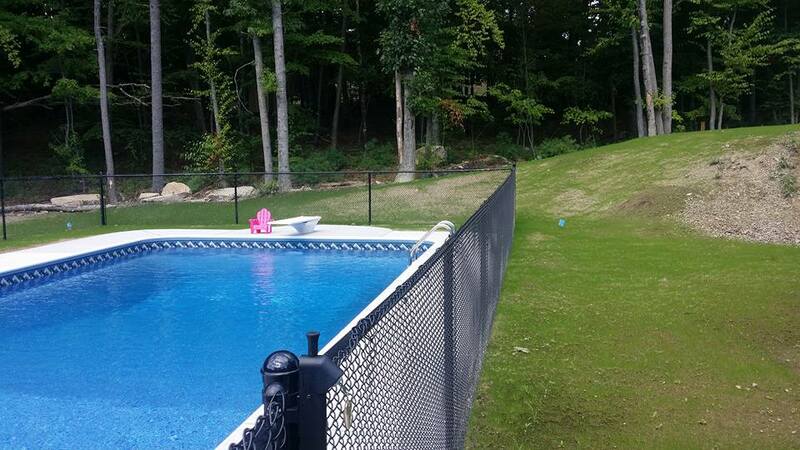 When going against the woods or shrubbery black chain link will almost disappear but still have the boundary. 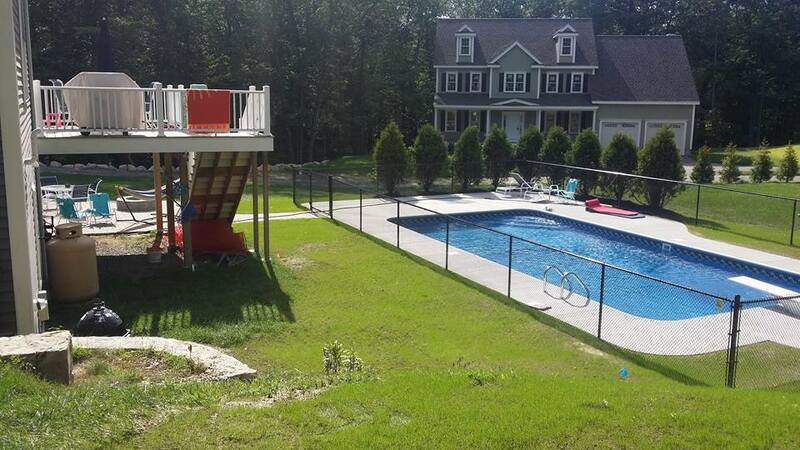 If you have close neighbors beside you but nothing behind you or conservation land, doing privacy on both sides and then chain link in the back will still give that open look and not feel “boxed in”. 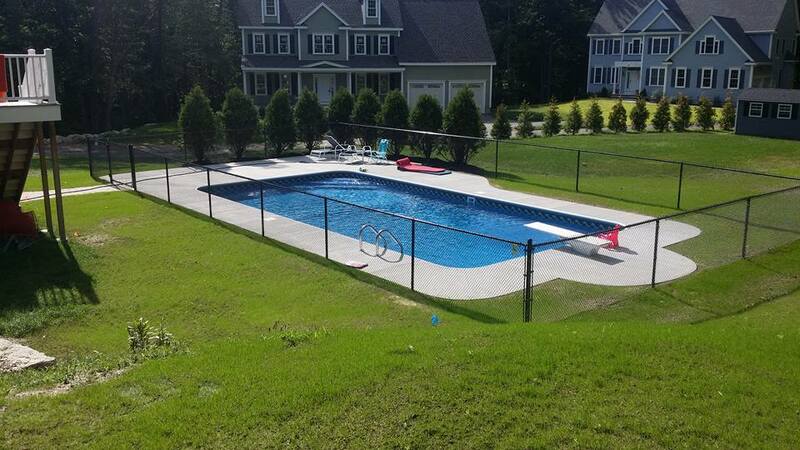 You can also add privacy slats or windscreen to add more privacy. Chain link comes in many heights and also has different size openings. 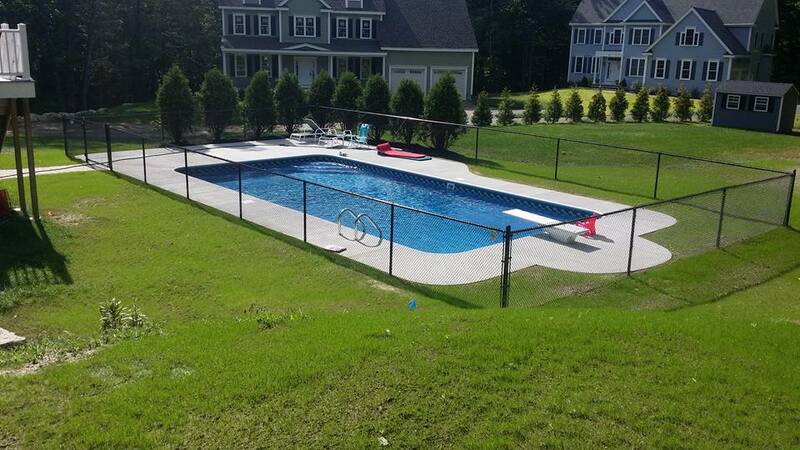 Adding tension wire or bottom rail will prevent any curling to not allow anything in or out of your property. 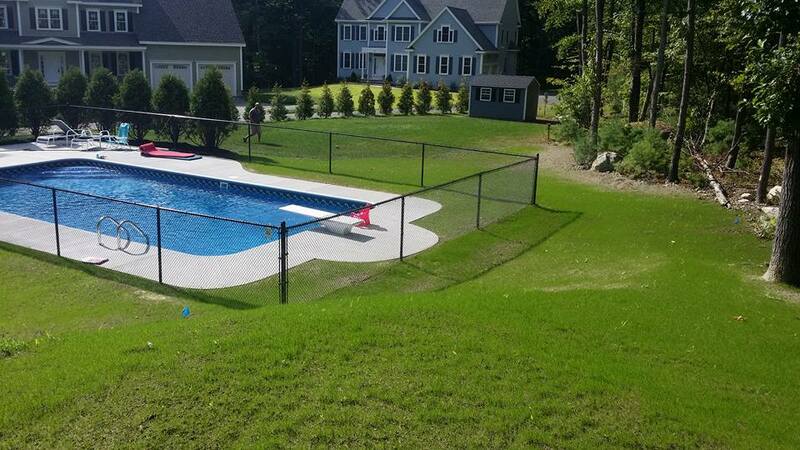 One of the most economic ways of fencing in the new pool project is a chain link pool fence. 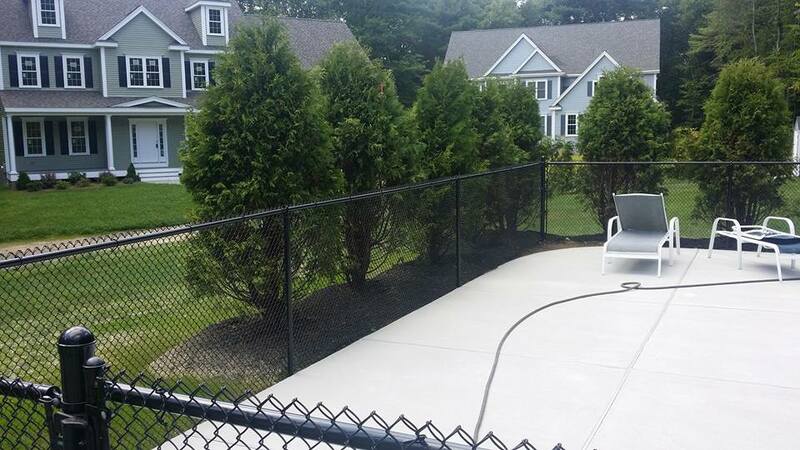 Once plantings grow, the chain link will blend and disappear. 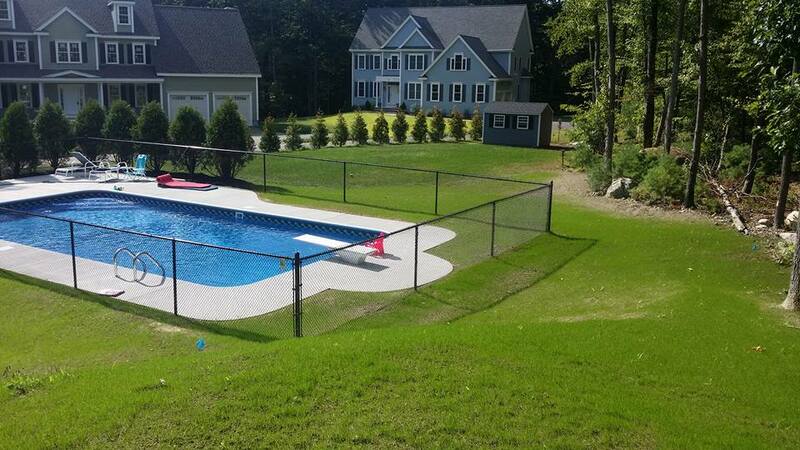 When getting an estimate for a chain link pool fence, be sure the company giving you an estimate is selecting the right height, gauge, and opening size of the diamond. 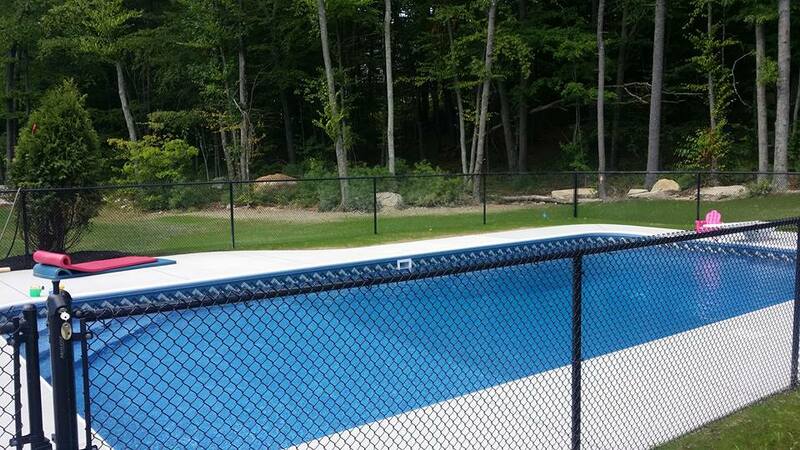 Some towns also now require the tension wire at the bottom of the chain link pool fence so kids can’t slip under. 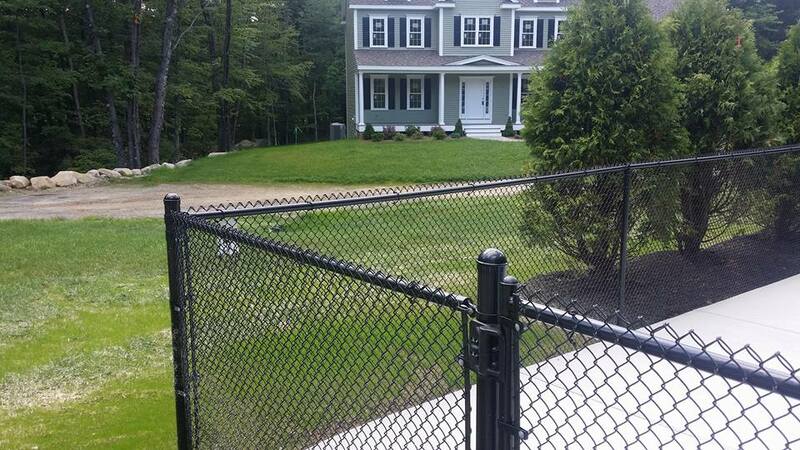 Also, the gates have to self close, self latch, and have no more than a 4″ gap underneath the fence.